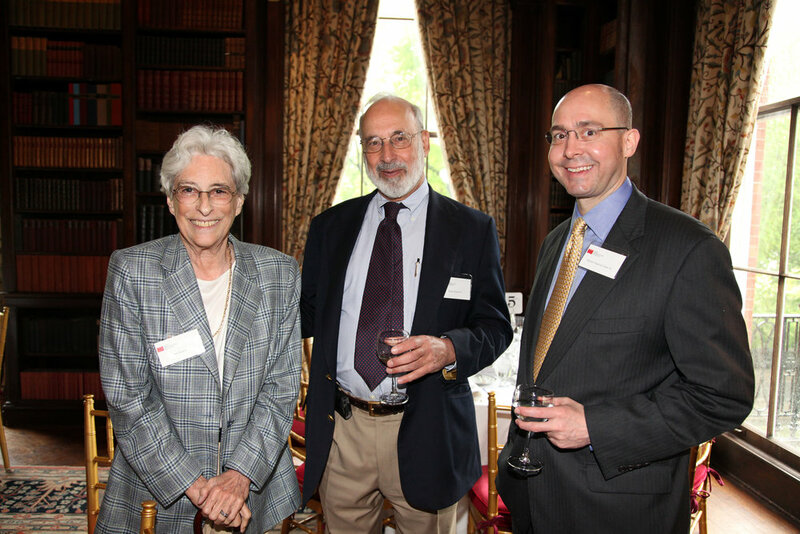 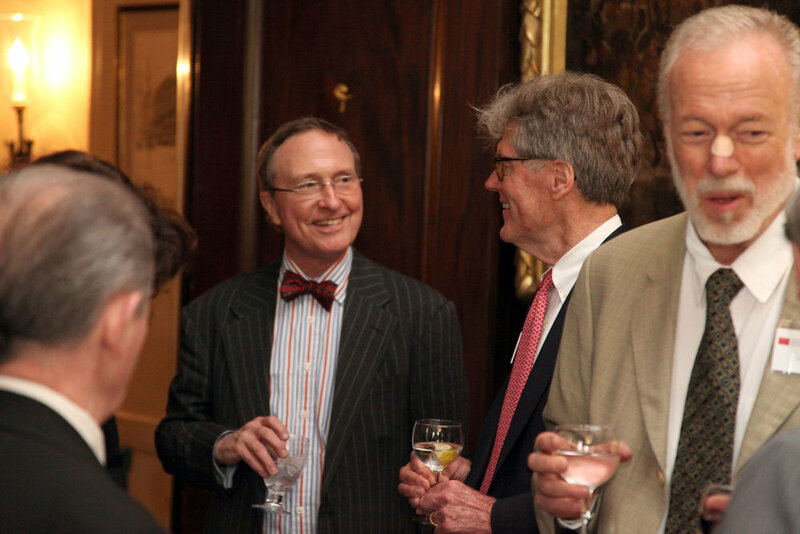 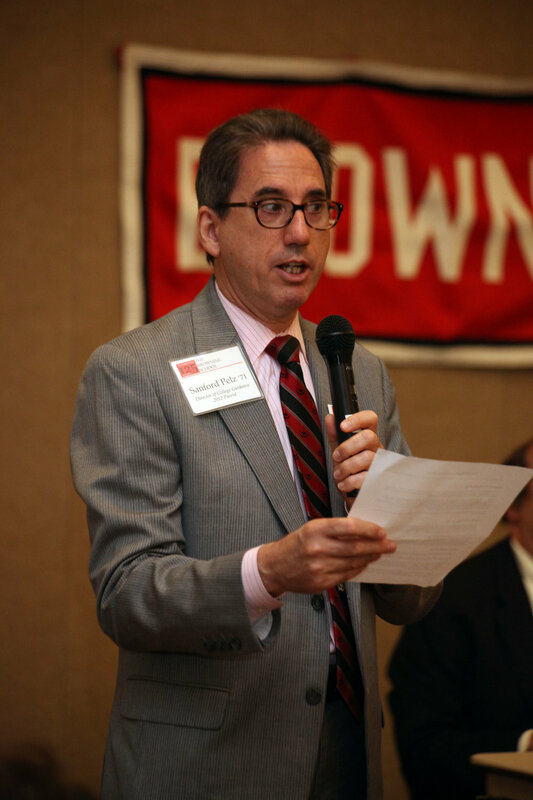 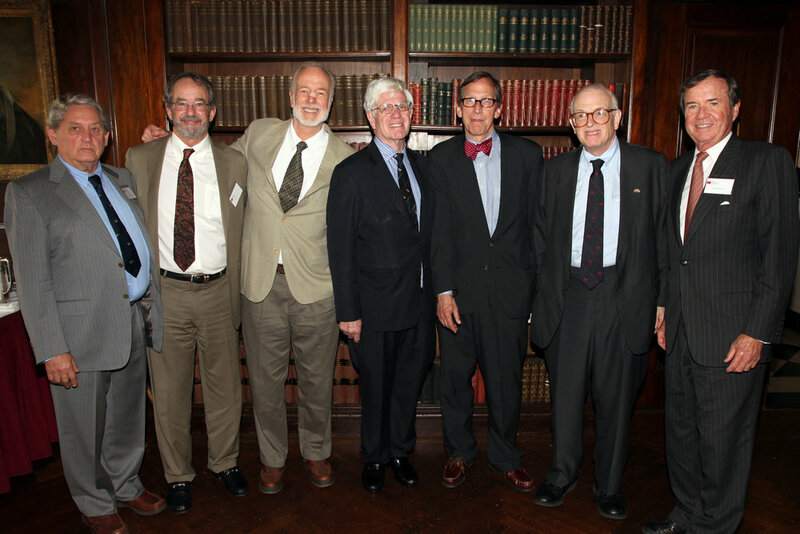 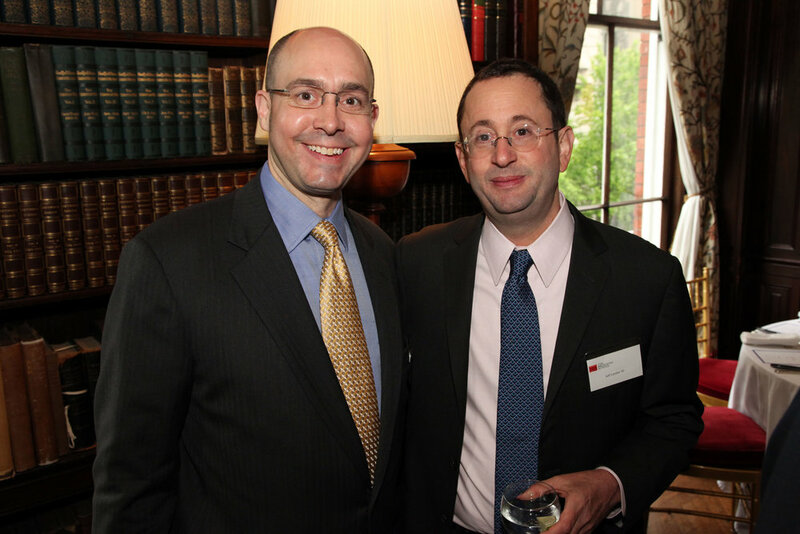 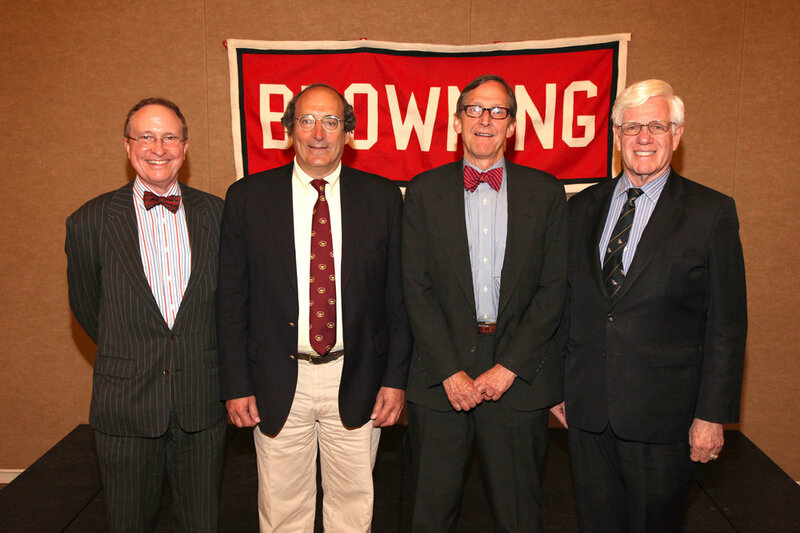 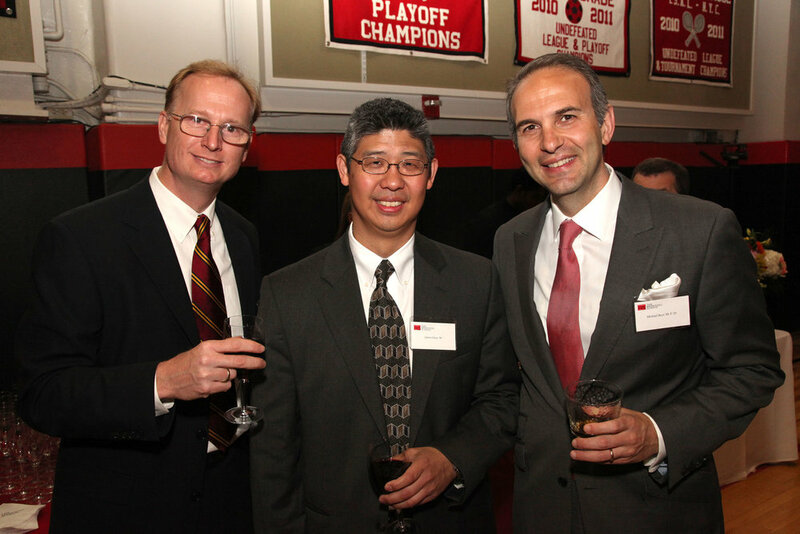 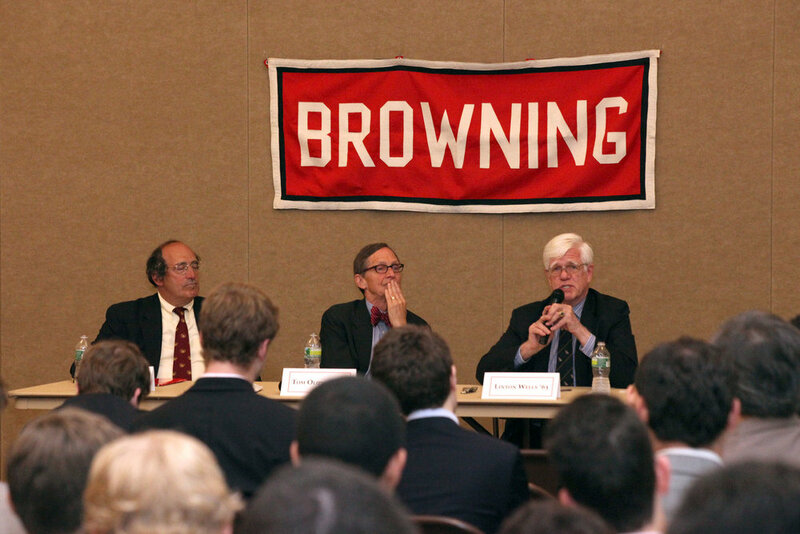 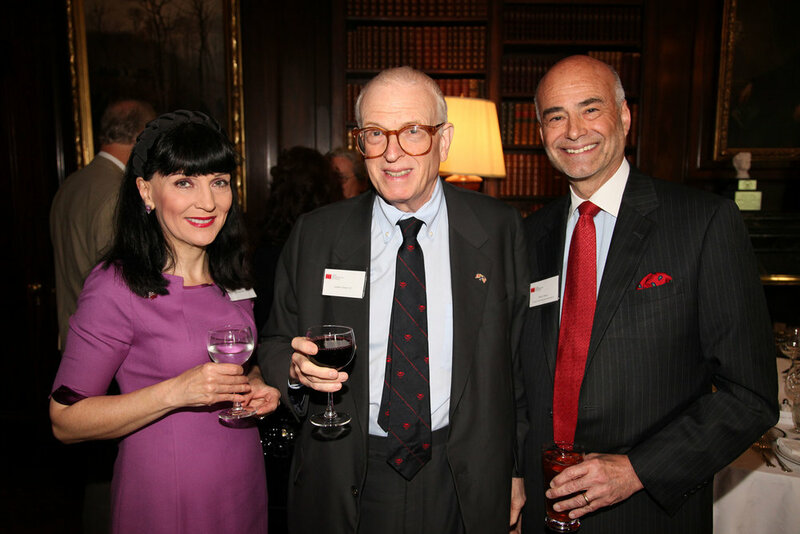 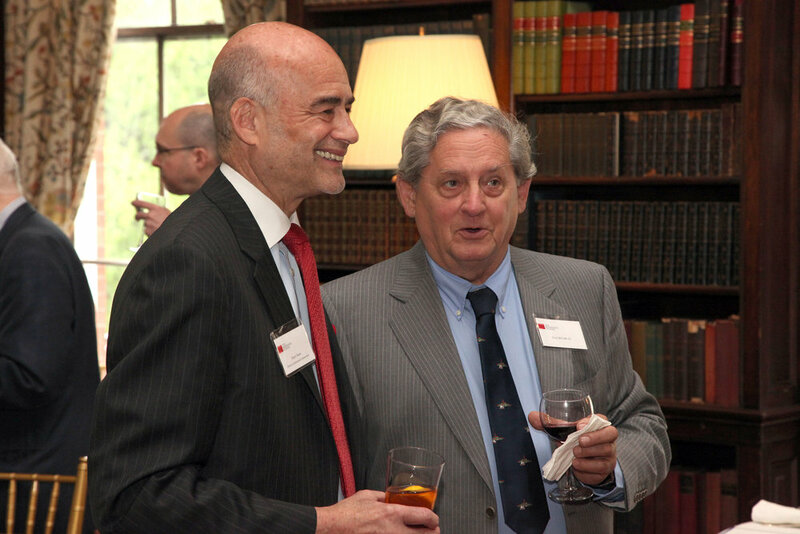 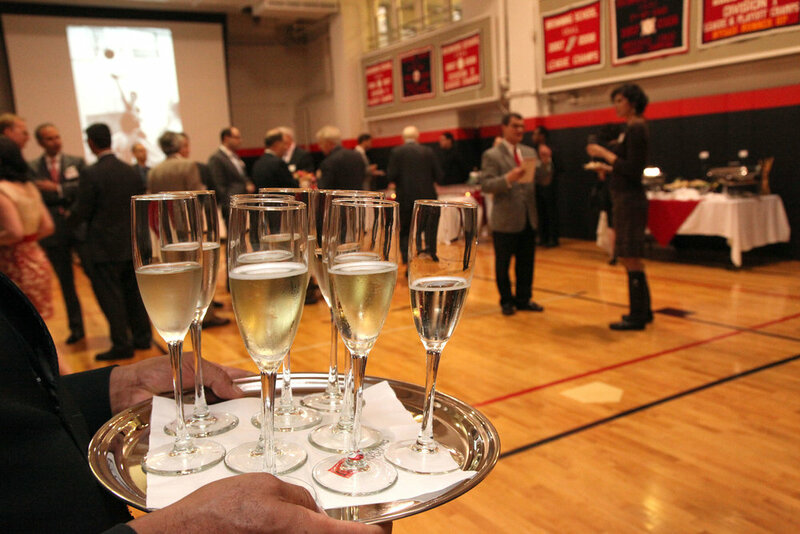 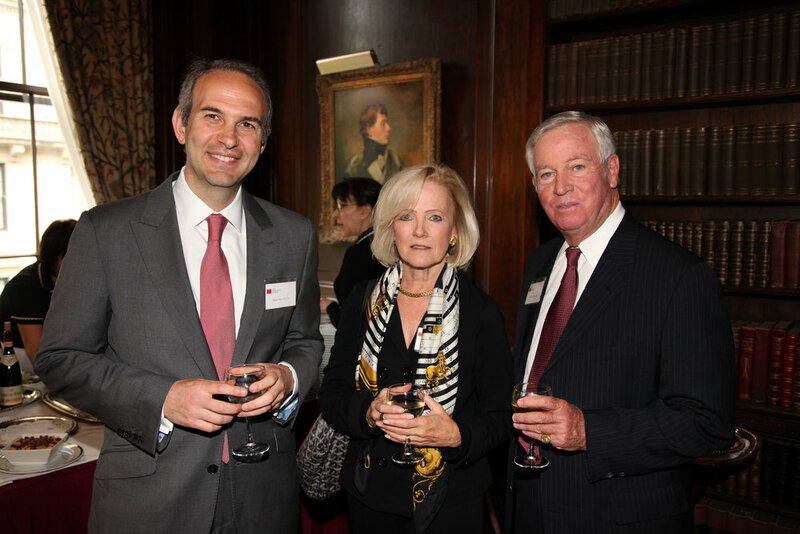 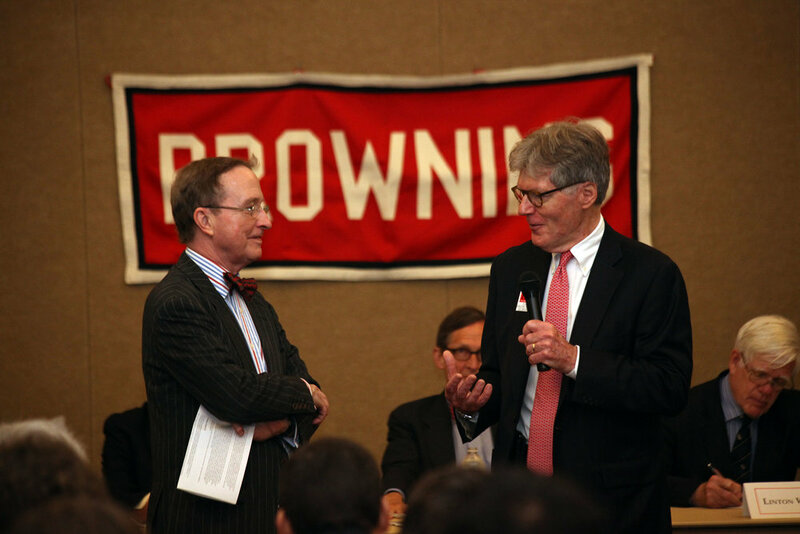 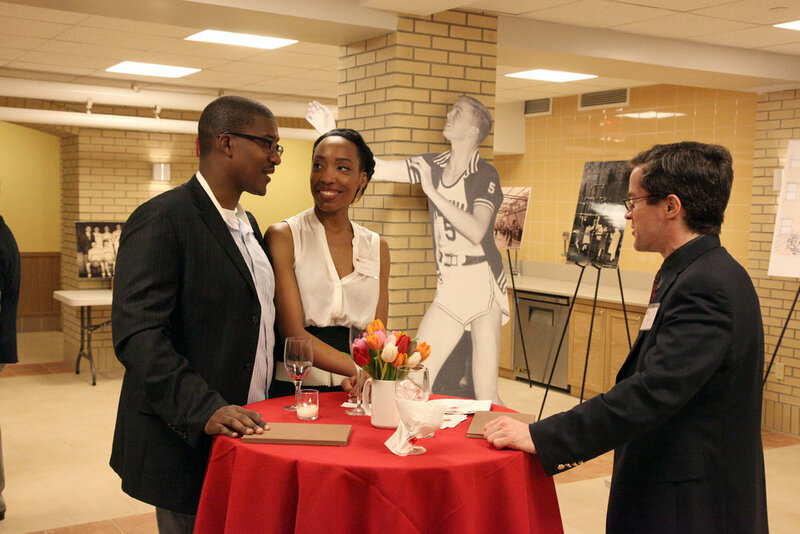 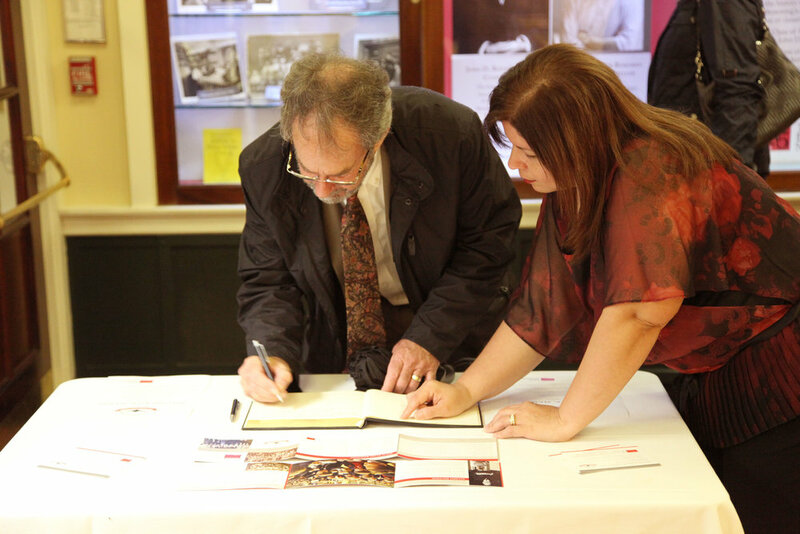 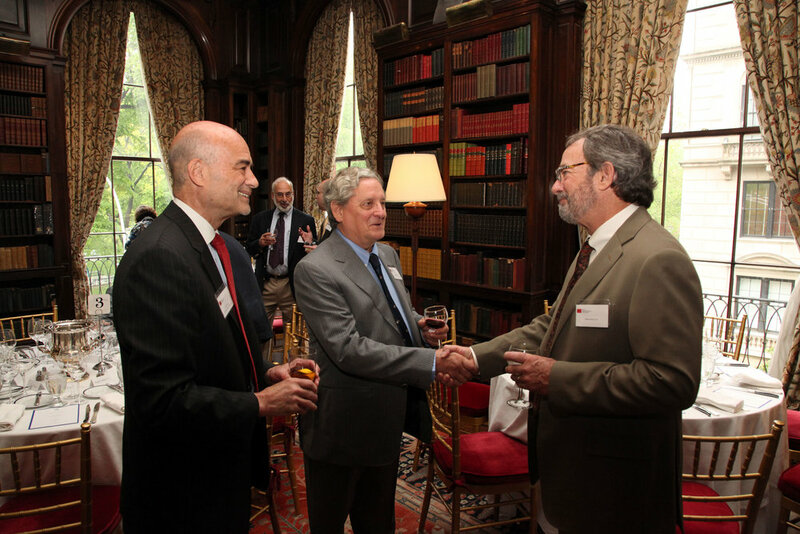 On Thursday, May 9, nearly 200 guests returned to Browning for the 125th Anniversary Alumni Reunion. 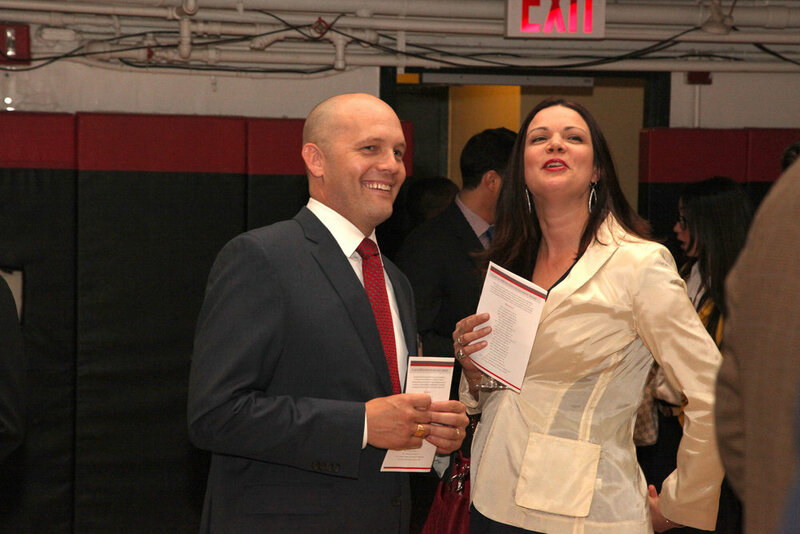 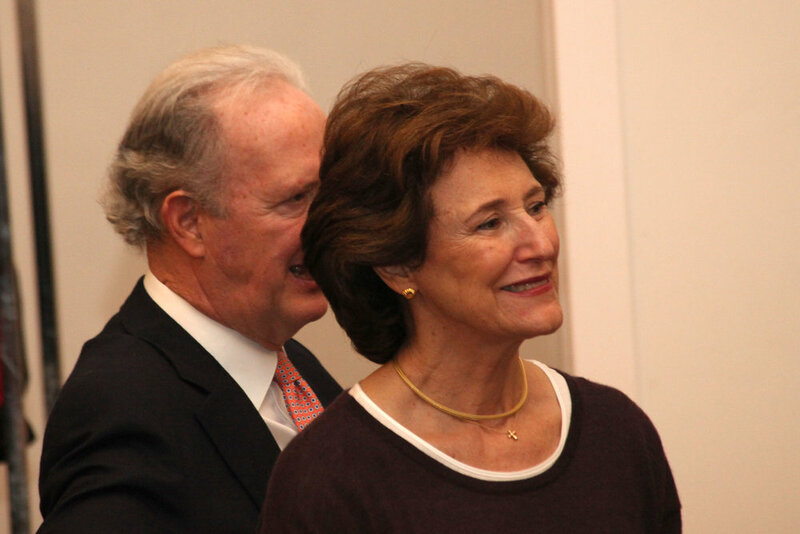 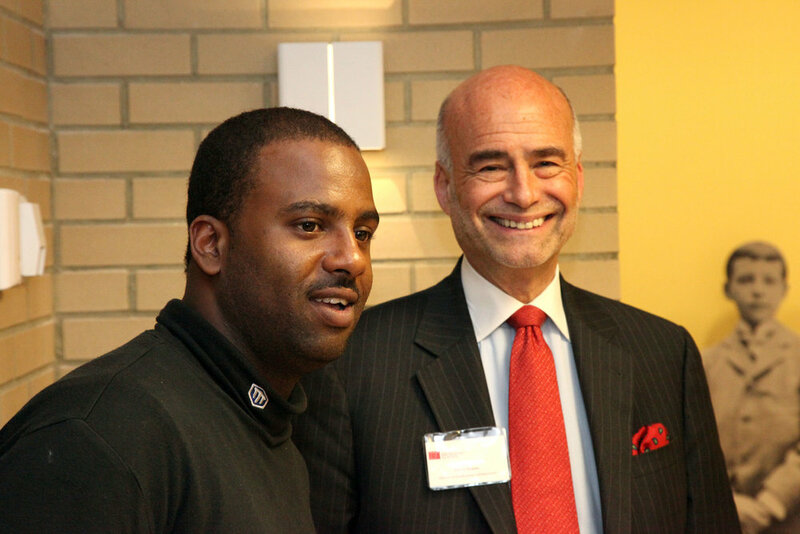 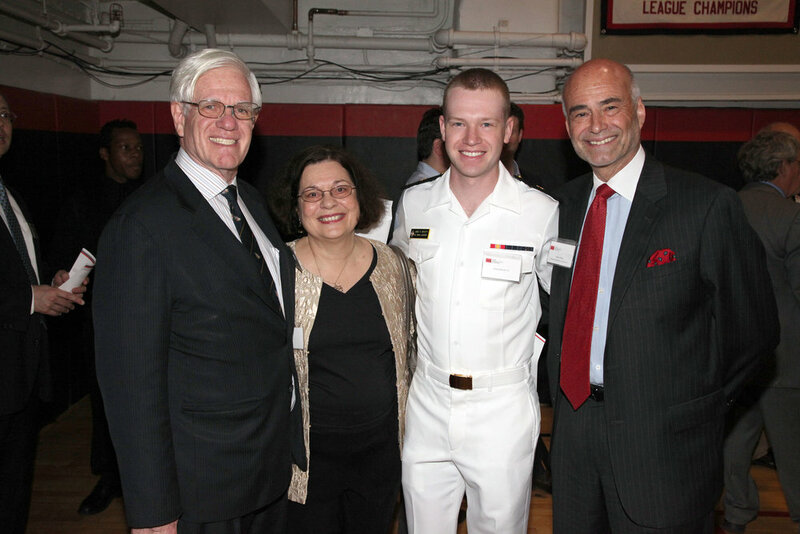 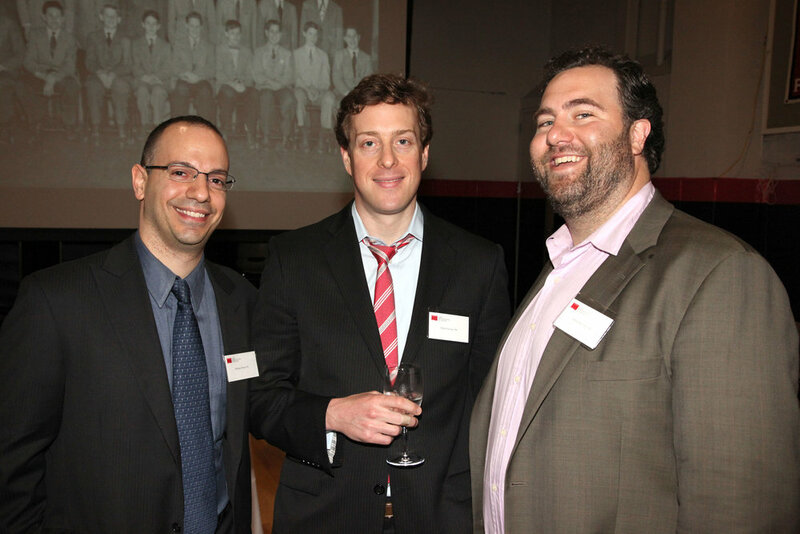 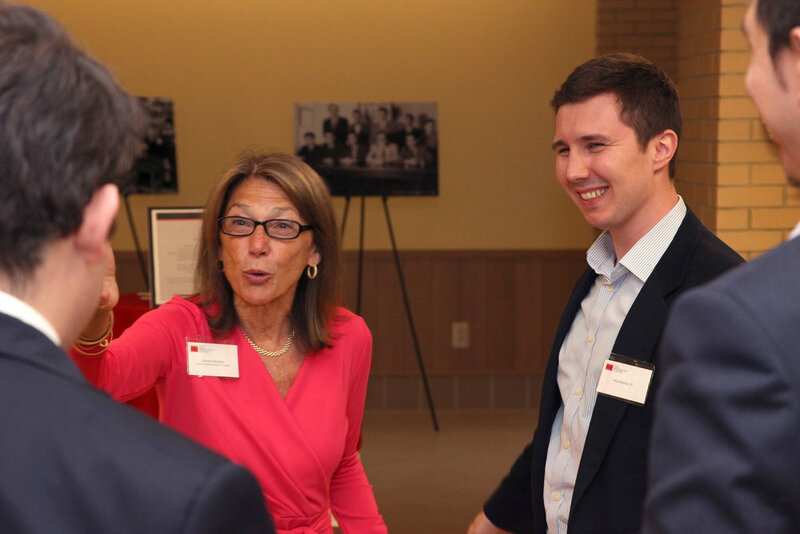 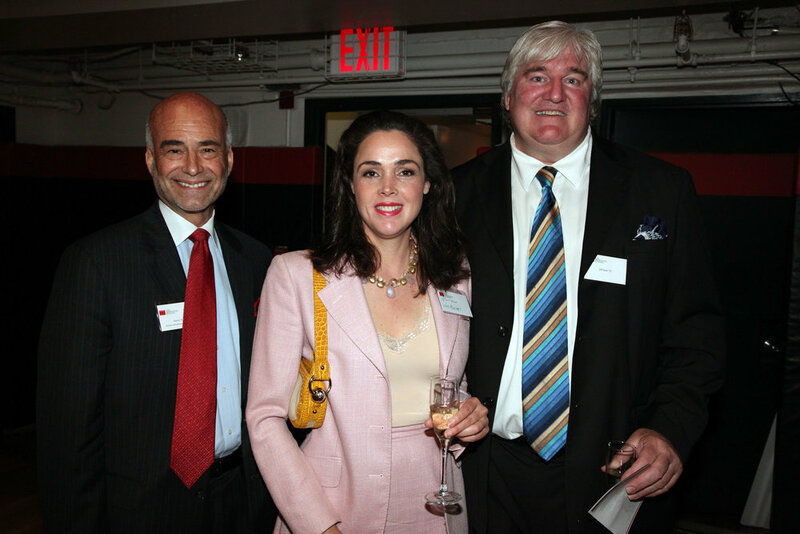 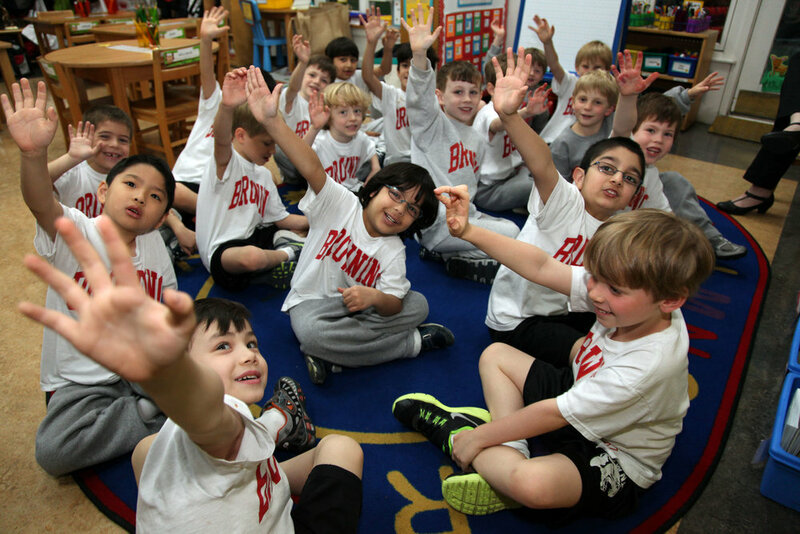 Guests included alumni from the Classes of 1950 through 2012, along with their guests, as well as a number of current and former faculty. 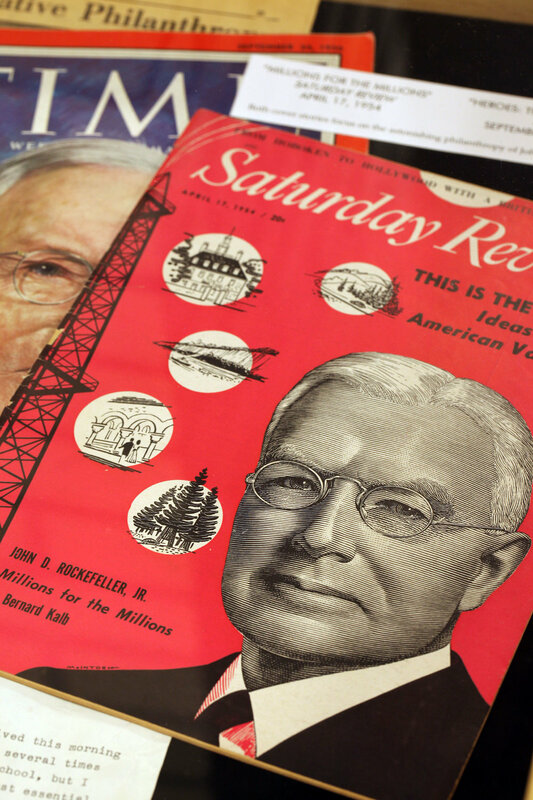 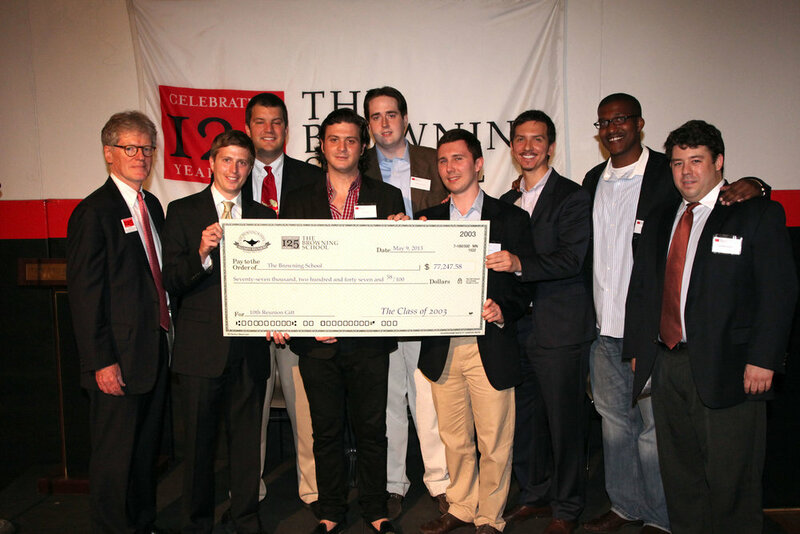 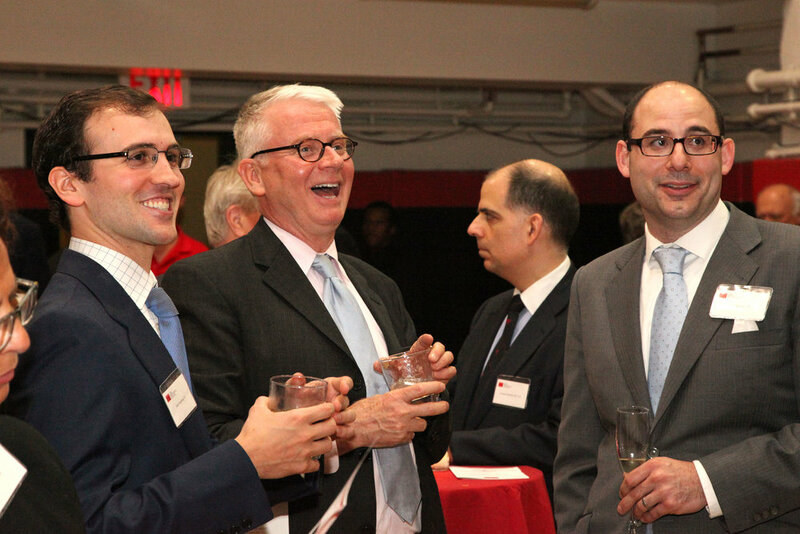 The Class of 1938 Alumnus Achievement Award was presented at the cocktail reception posthumously to John D. Rockefeller, Jr., Class of 1893. 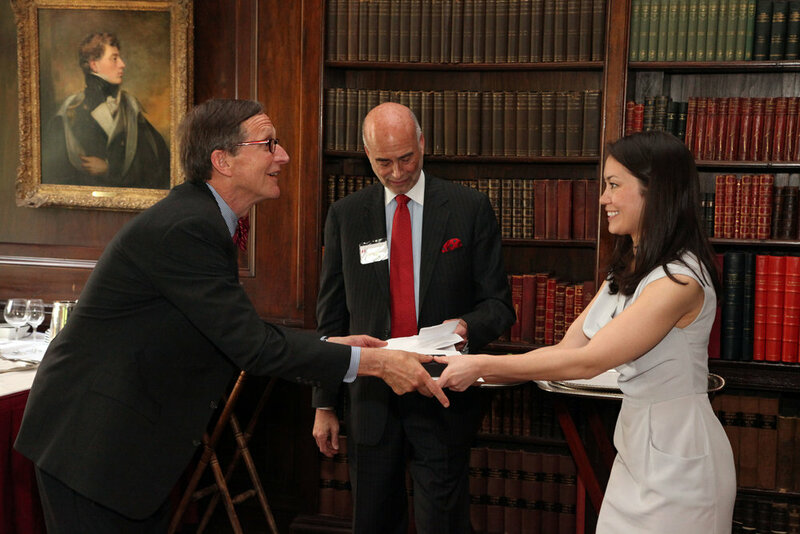 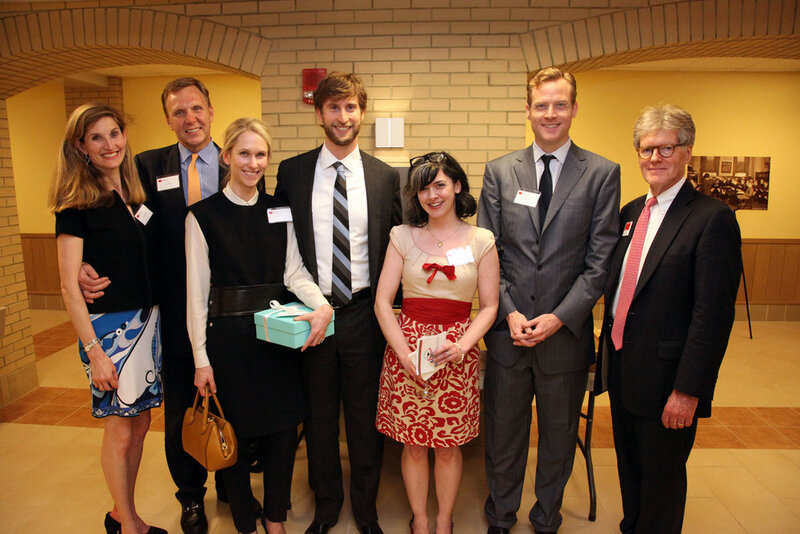 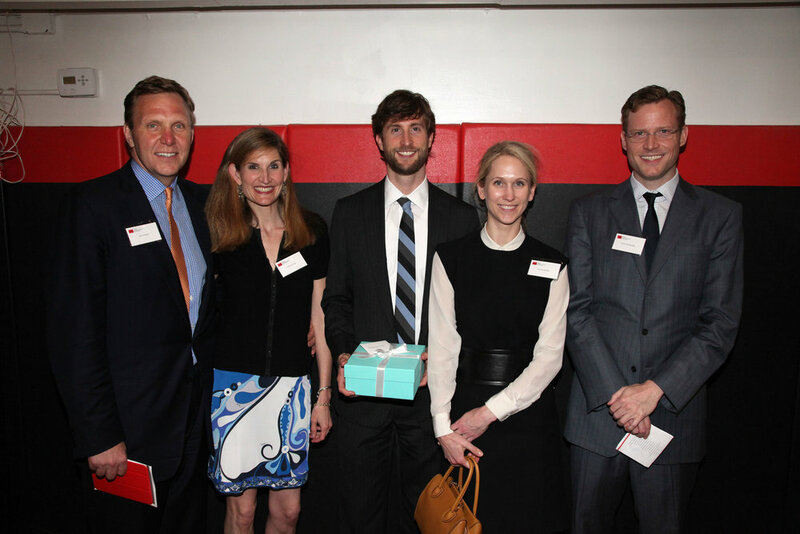 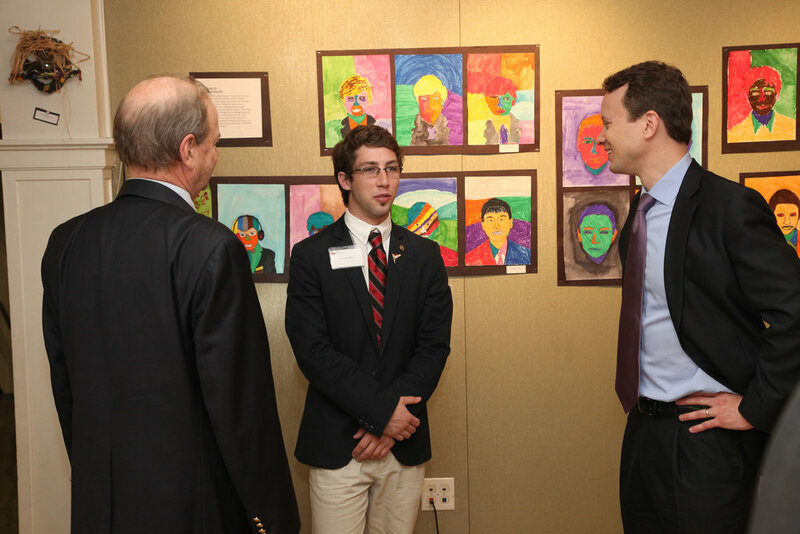 His great-grandson, Justin Rockefeller, accepted the Award on his behalf. 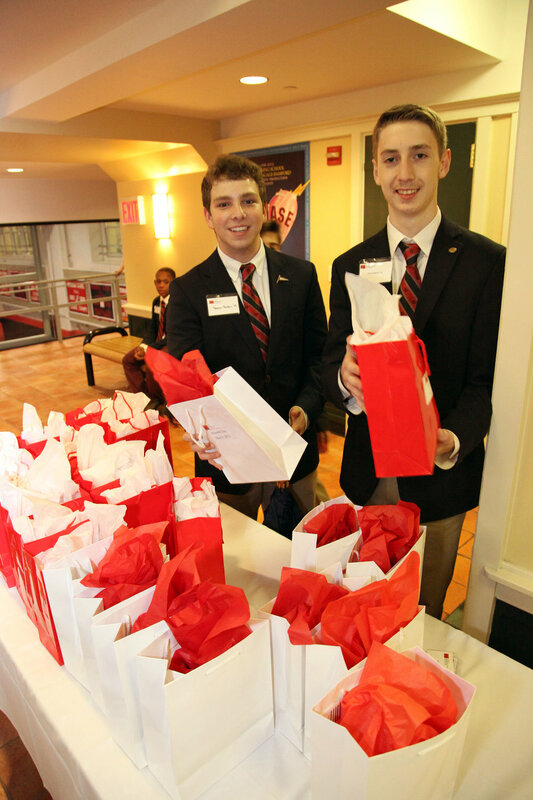 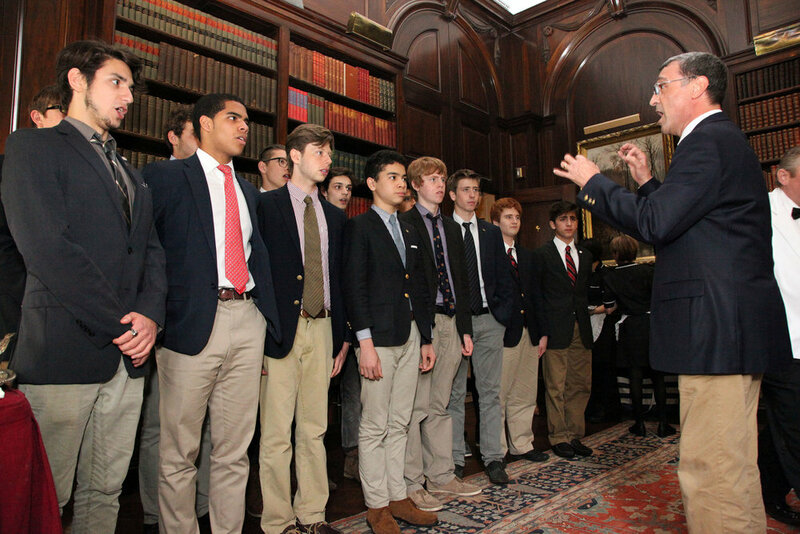 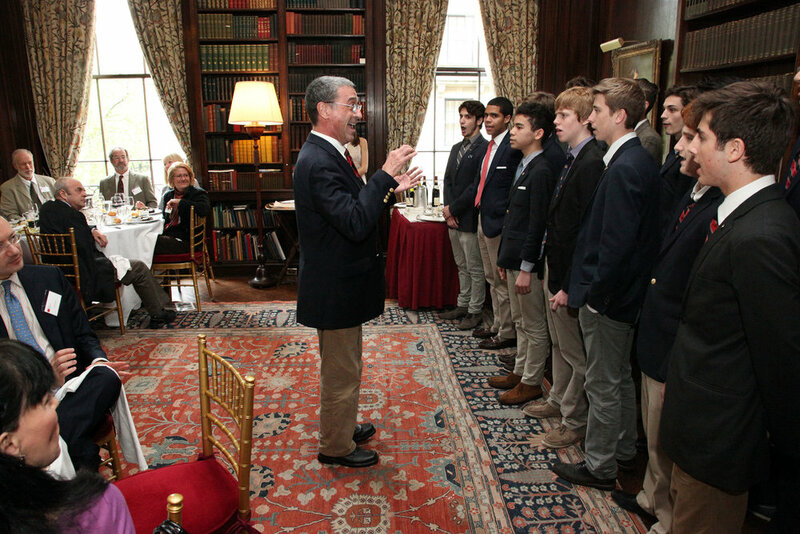 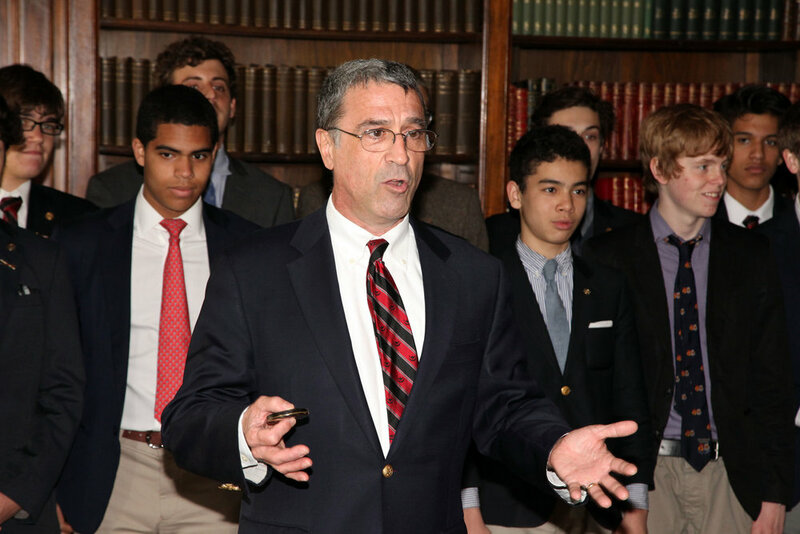 Also during the reception, the Stephen S. Perry '76 Memorial Class Representative Awards were presented to eight outstanding class representatives, followed by the Class of 2003's announcement of its 10th Reunion Gift to the School. 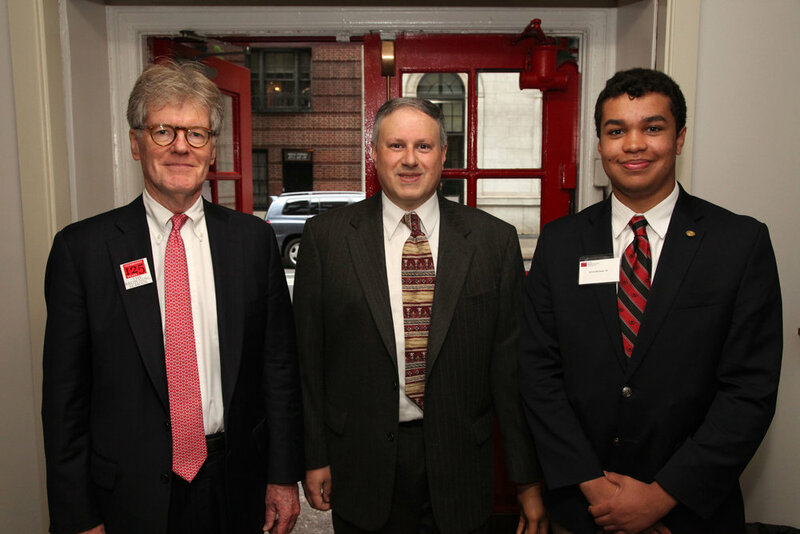 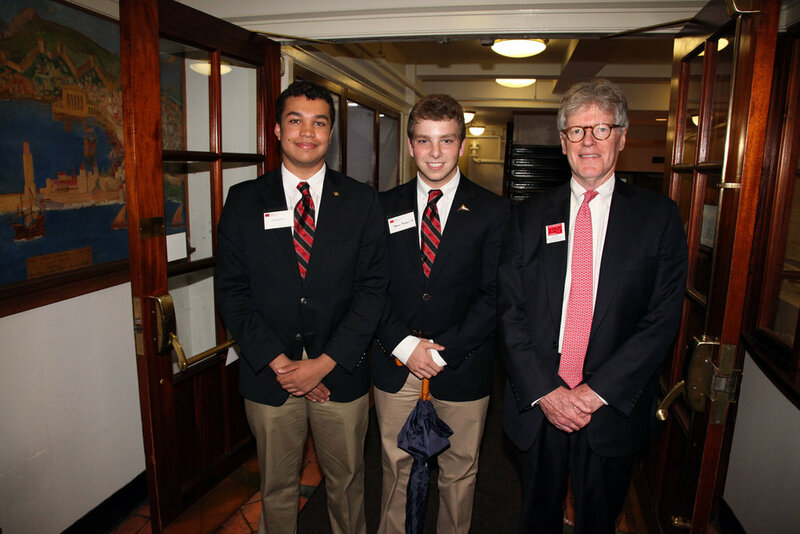 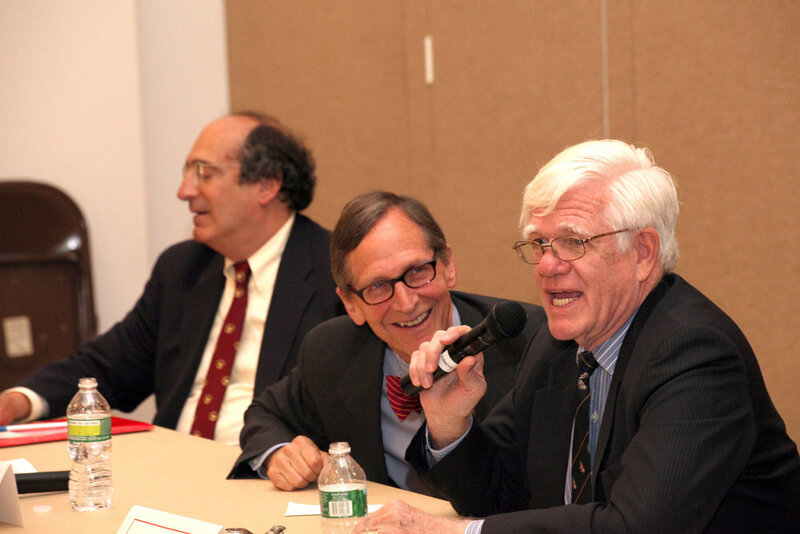 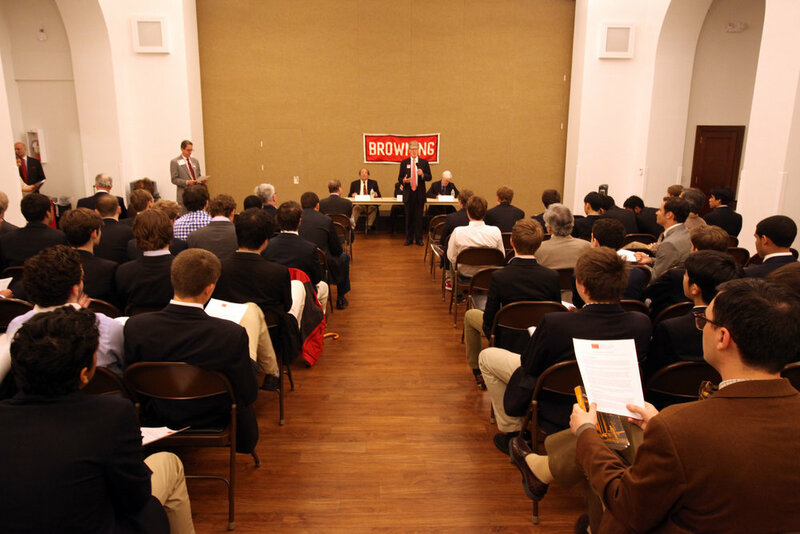 Earlier in the day, the entire Upper School had the opportunity to hear from a Distinguished Alumni Panel of three Alumnus Achievement Award recipients: Thomas Oliphant '63, Charles Plohn '62 and Linton Wells '63. 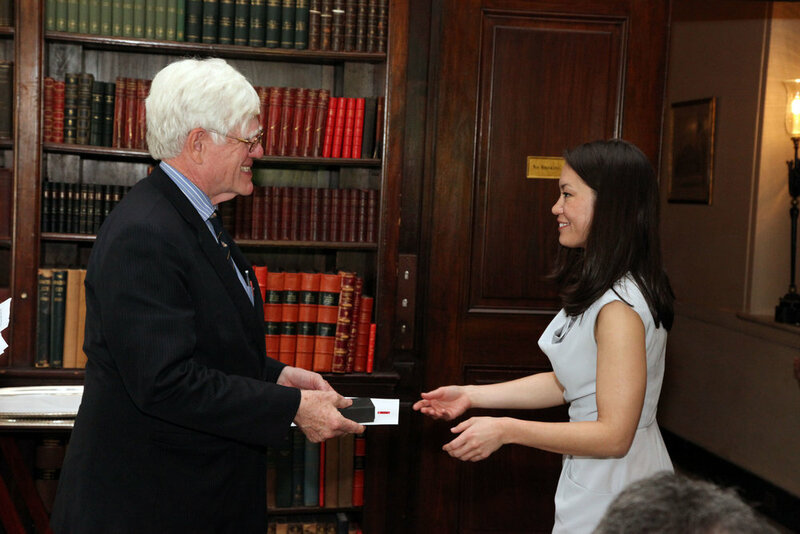 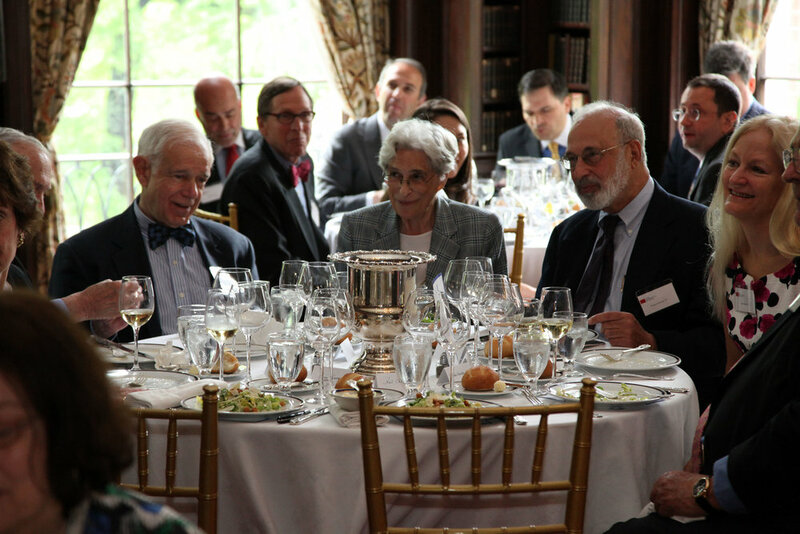 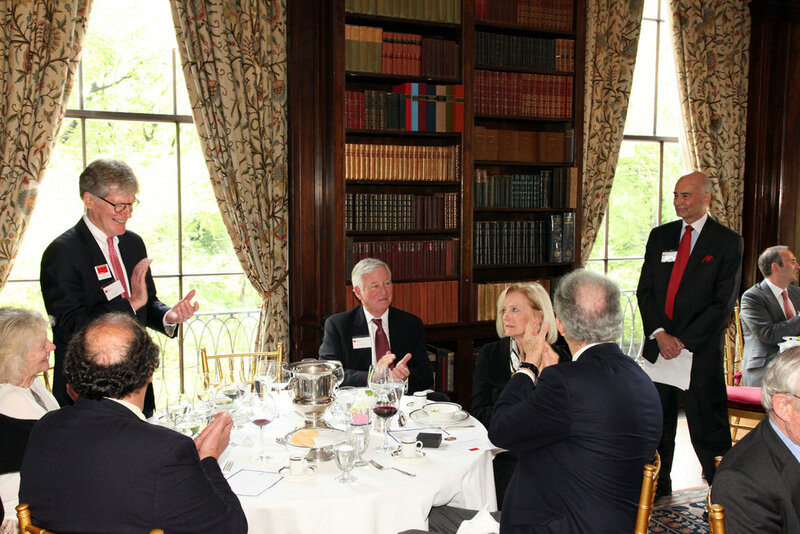 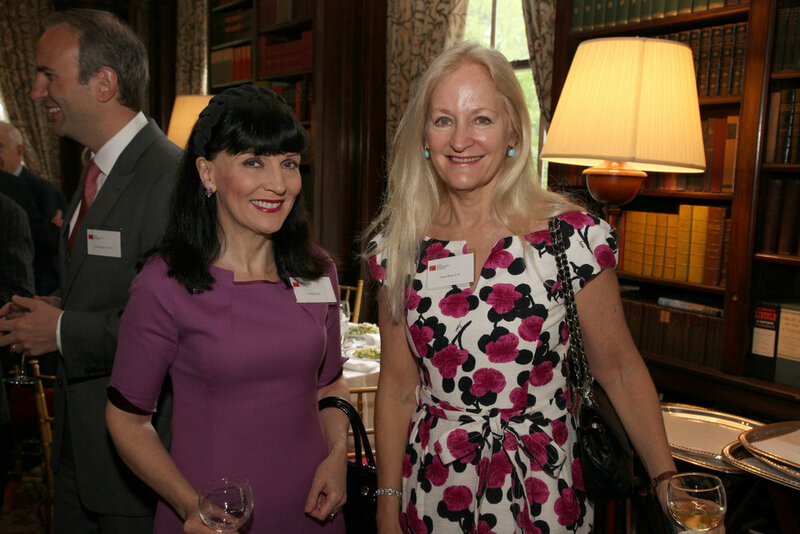 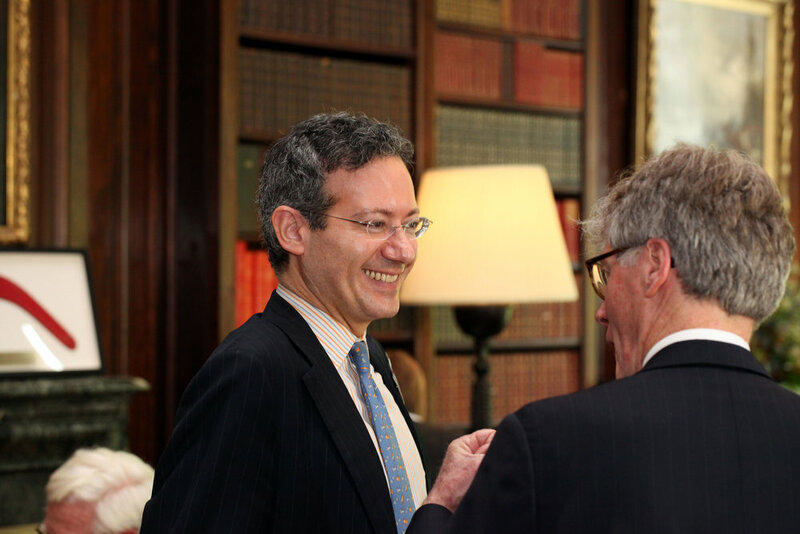 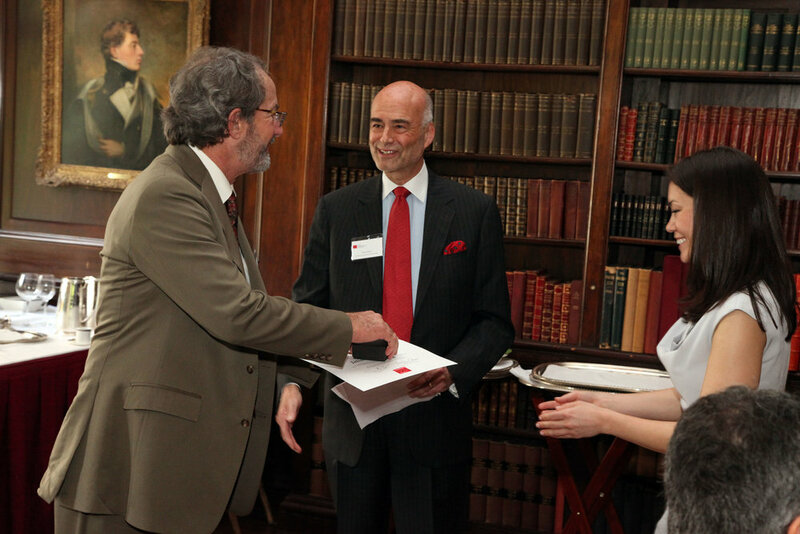 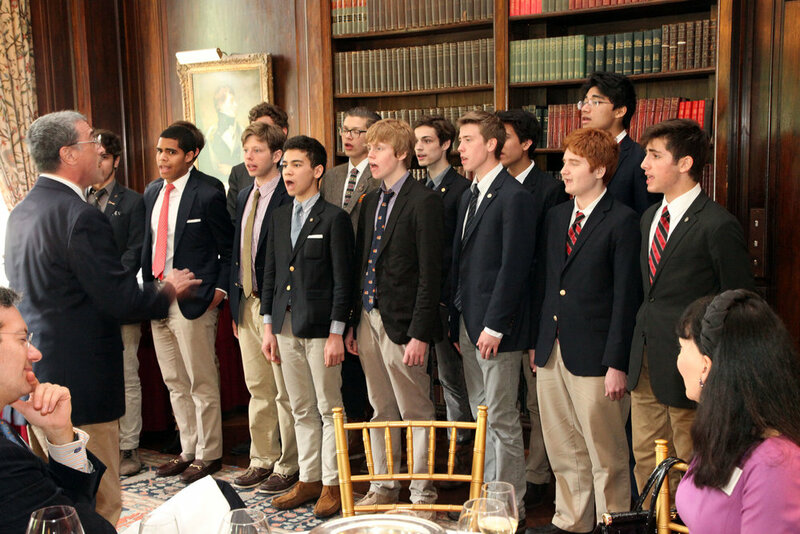 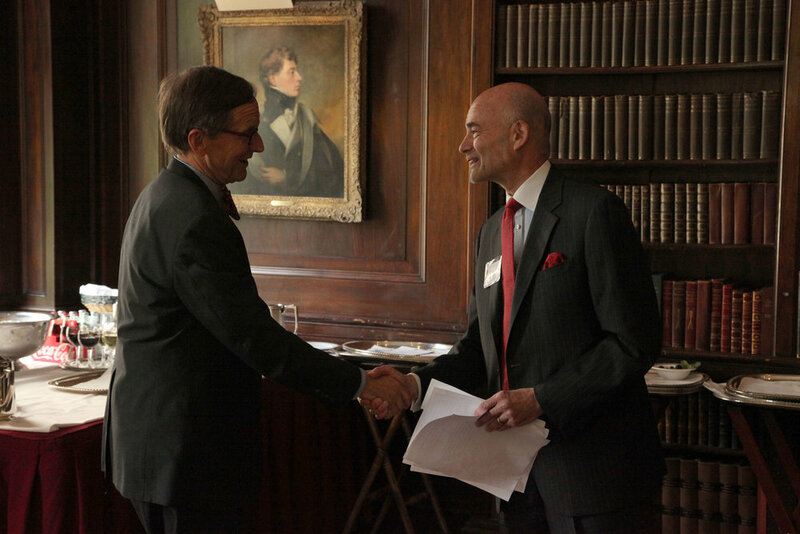 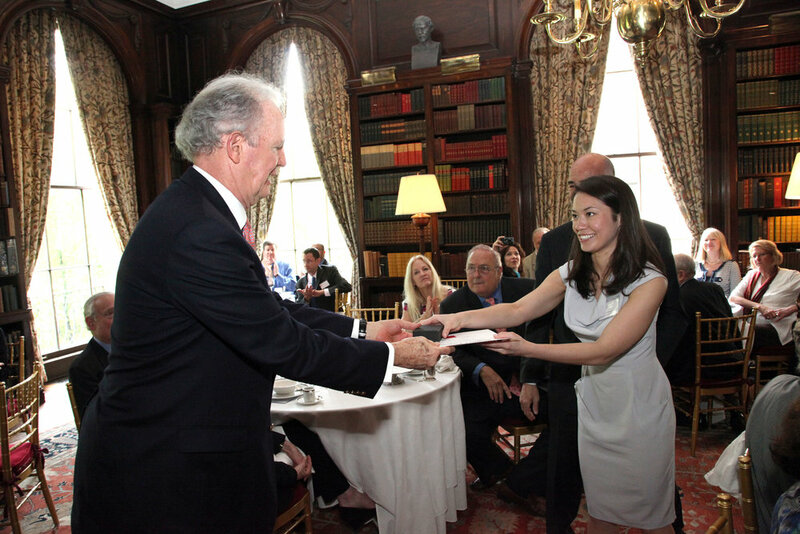 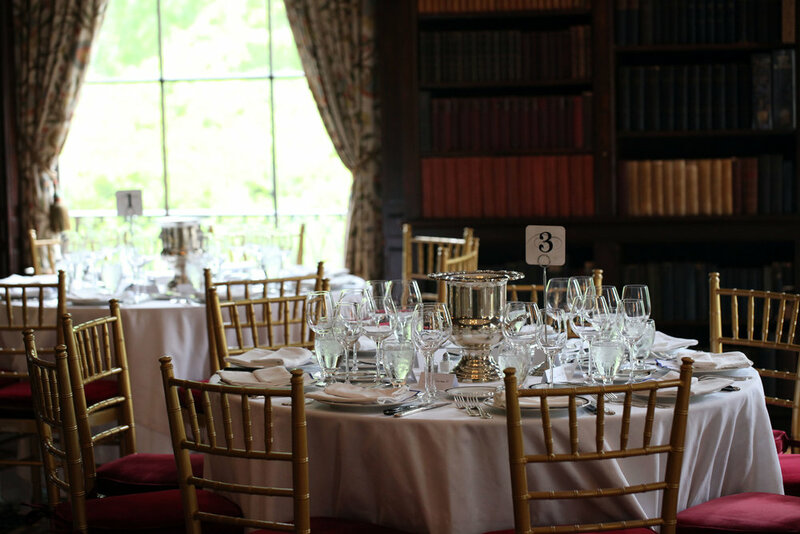 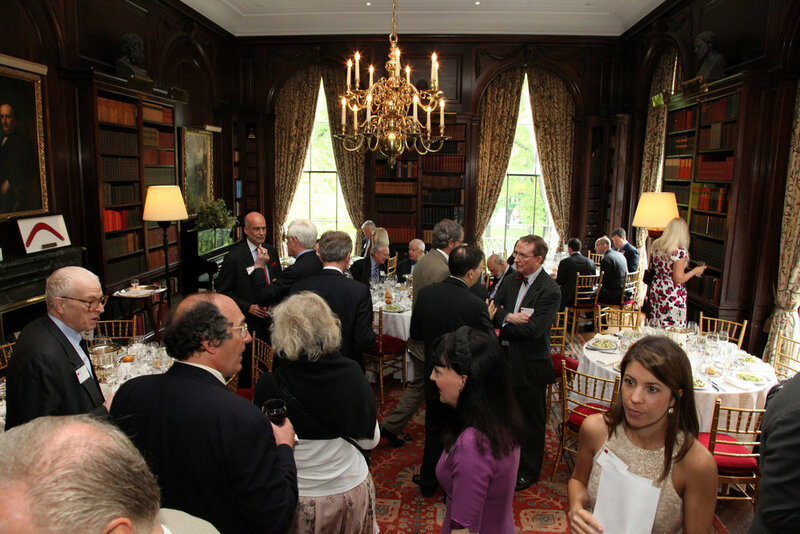 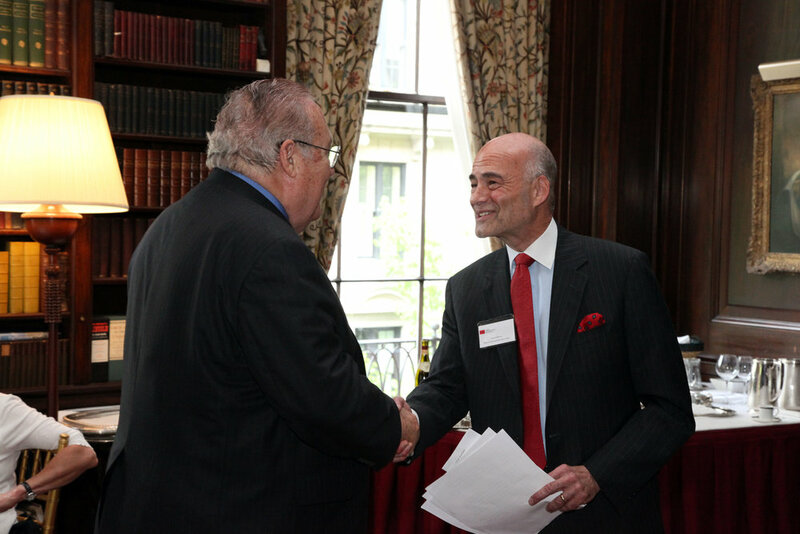 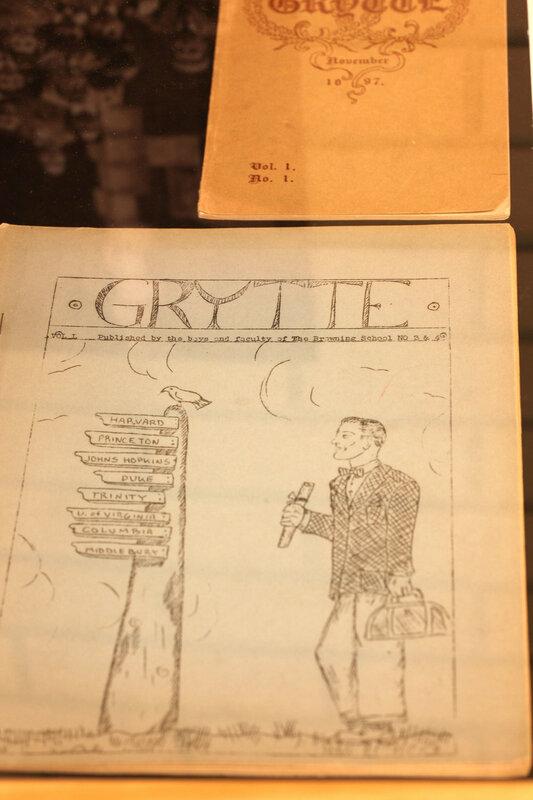 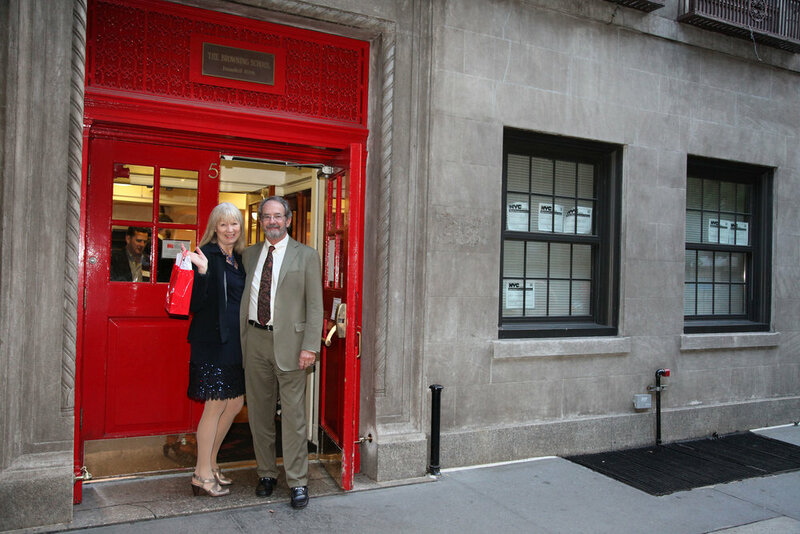 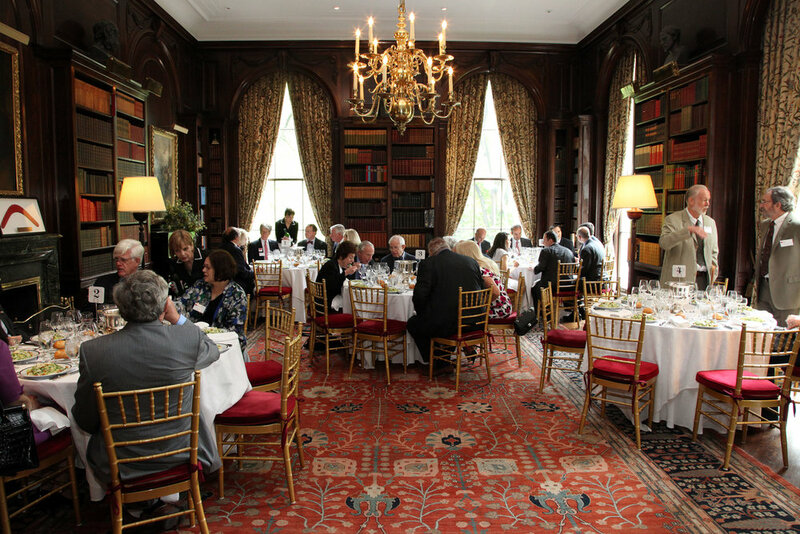 At noon, the annual invitation-only True Grytte Society & Consecutive-Year Donors Luncheon was held at the nearby Knickerbocker Club, where a record number of 11 new members were inducted to the True Grytte Society. 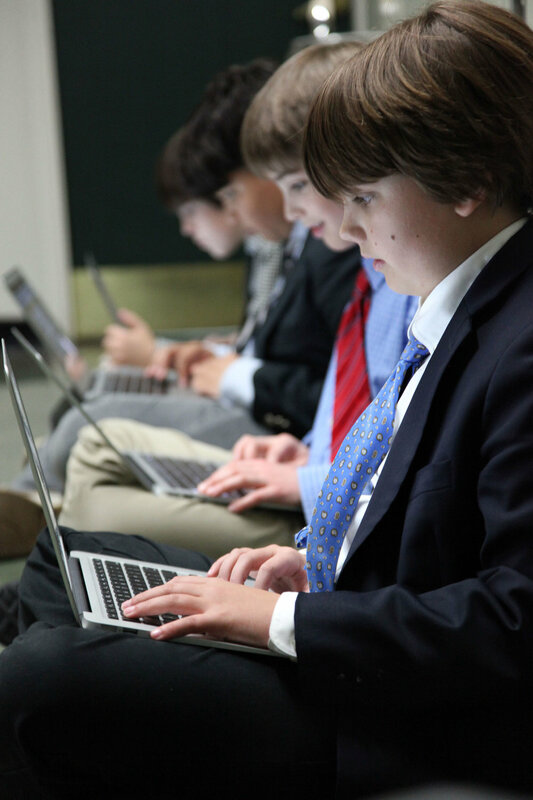 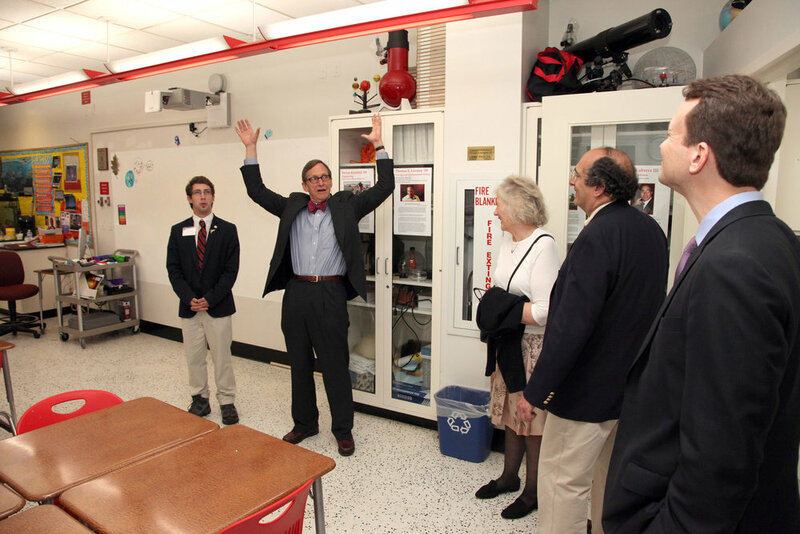 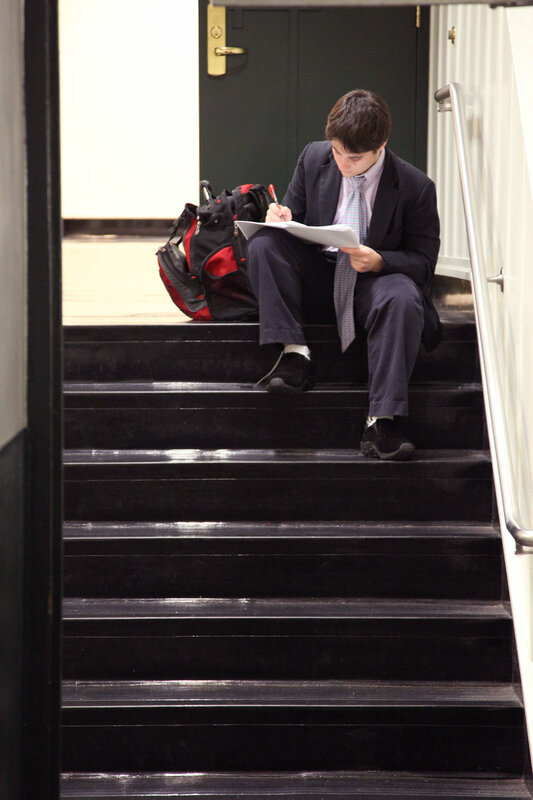 Tours of the School and Browning's new facilities were also a big highlight of the day. 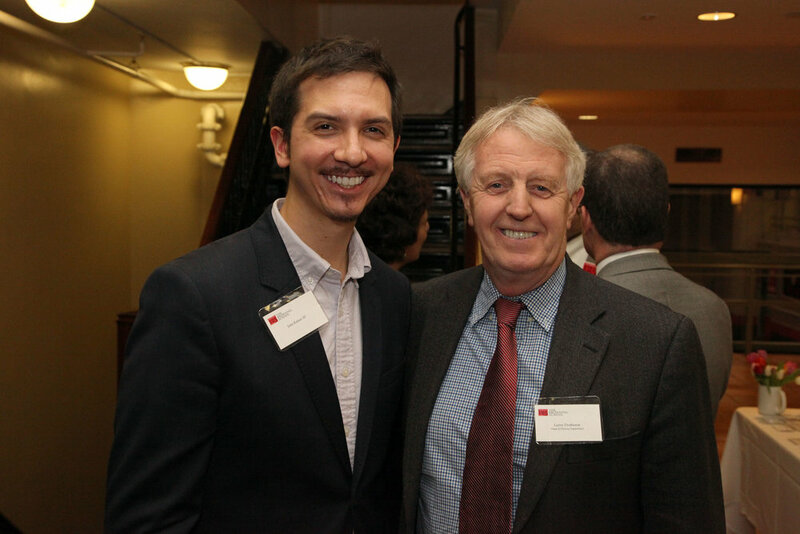 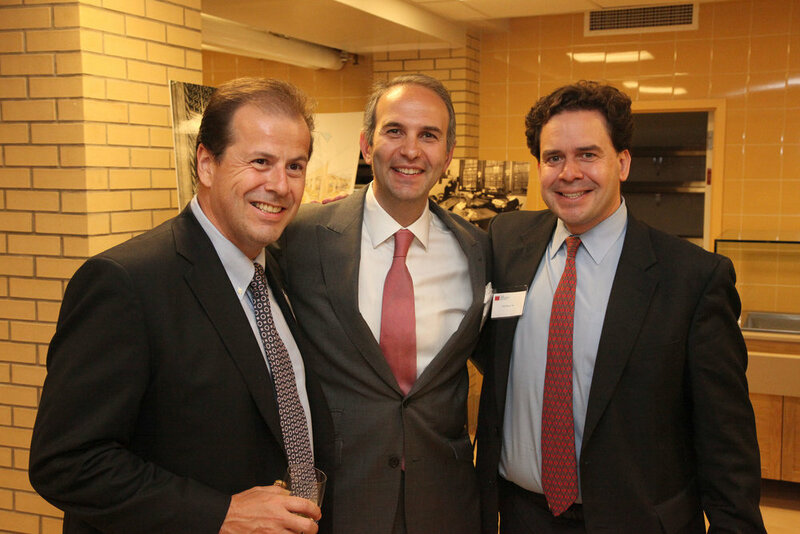 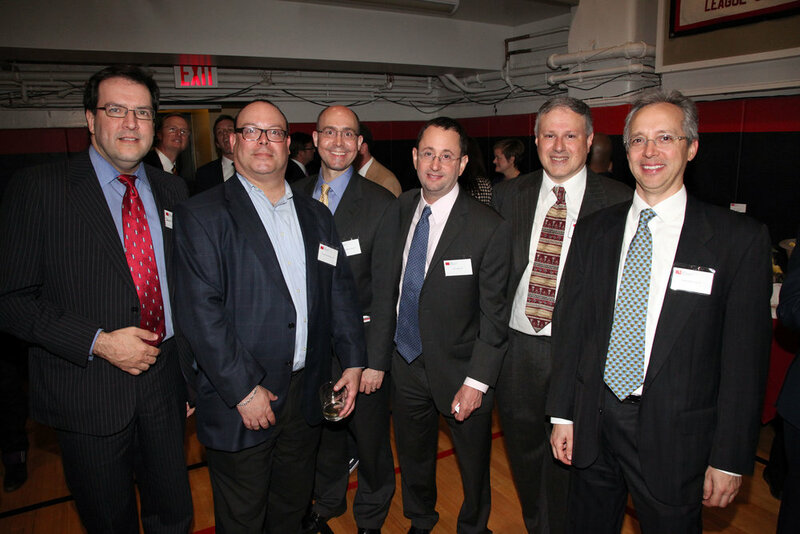 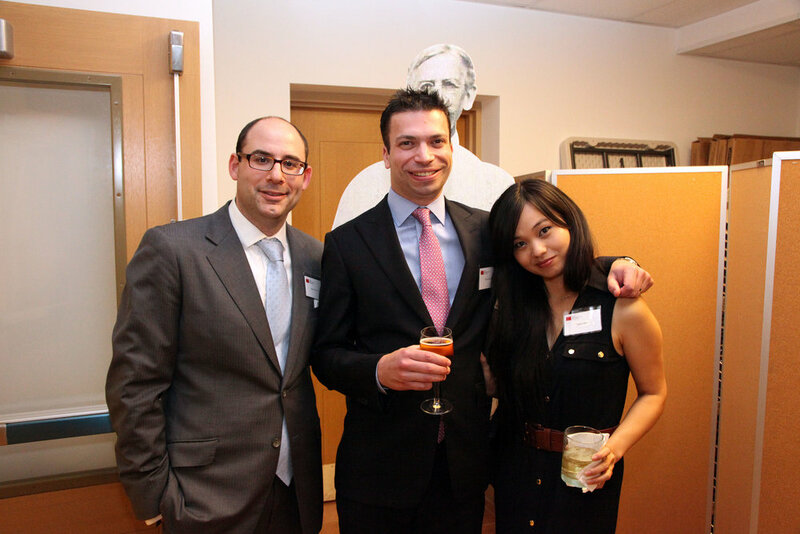 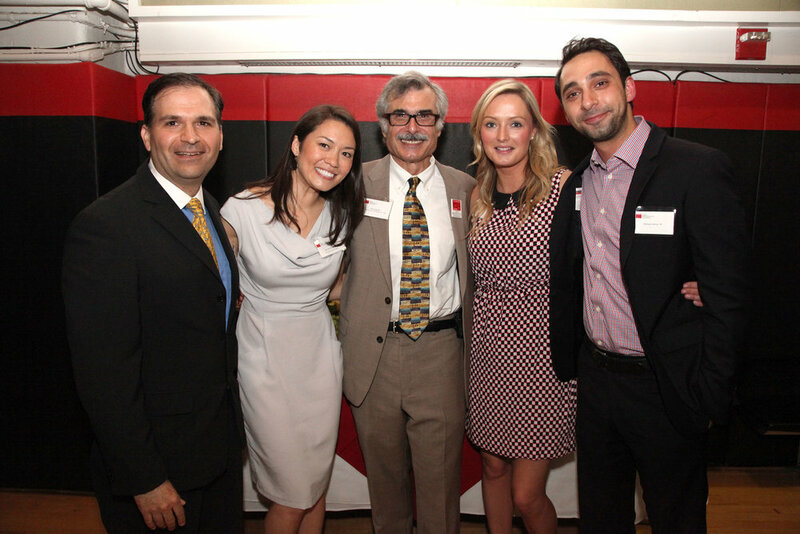 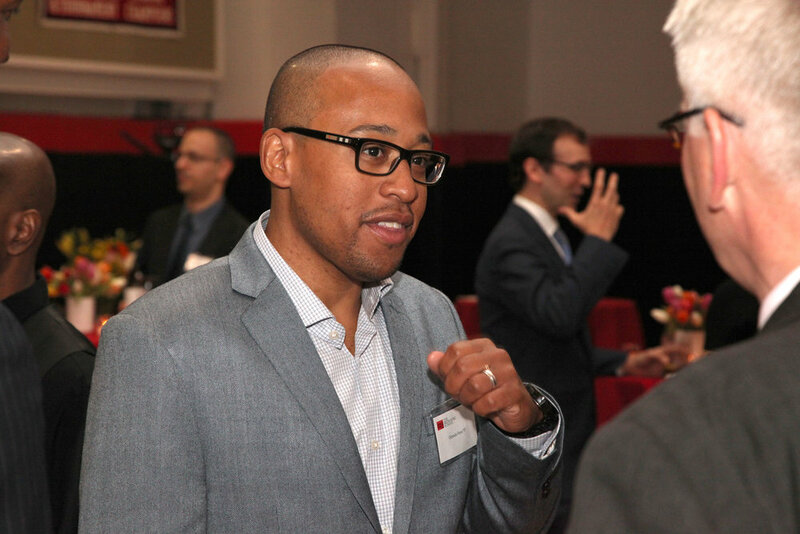 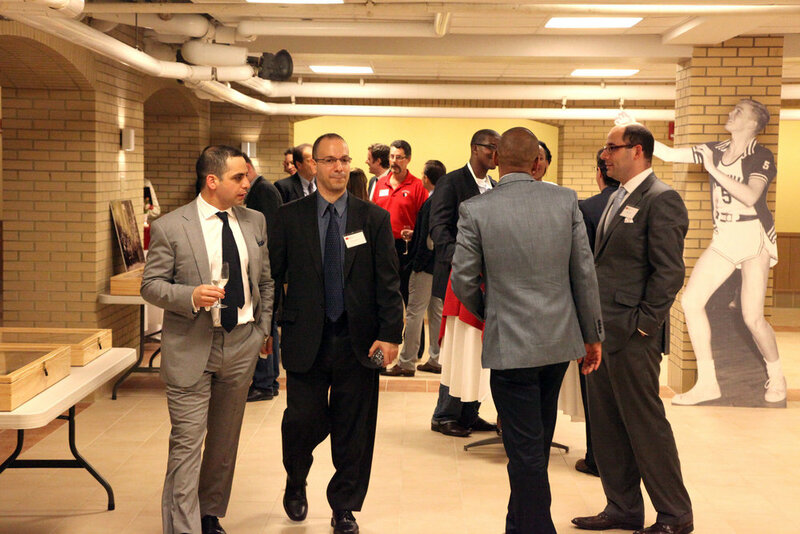 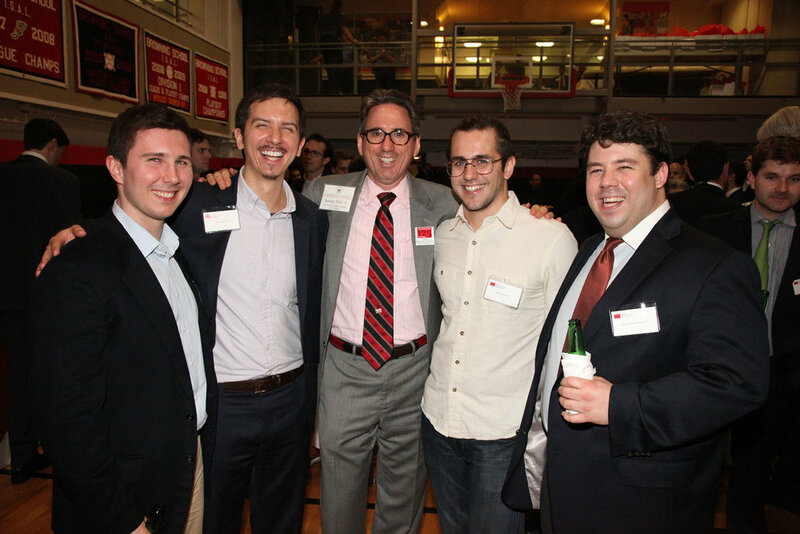 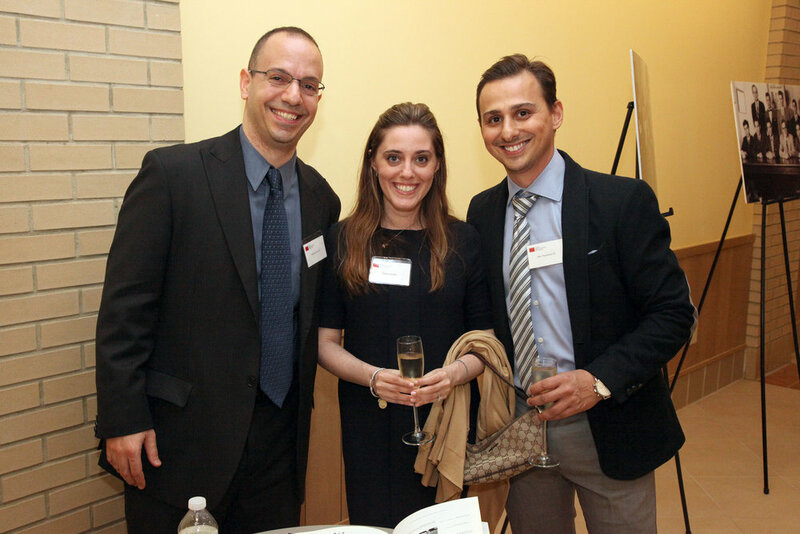 Special thanks to all who helped make this year's milestone Alumni Reunion a success!